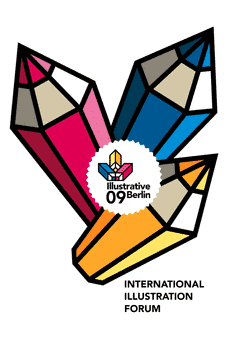 ILLUSTRATIVE 2009 will return to the creative capital to celebrate the cutting-edge works of contemporary graphic art for the fifth time around. From the 16th of October to the 1st of November, works ranging from drawing, graphic prints, painting and monumental mural collages to graphically inspired 3D-illustrations, book art and animation will be on show. With more than 60 artists from all across the world, ILLUSTRATIVE brings together an inspiring cornucopia of visual contemporary culture in the Villa Elisabeth located in the heart of Berlin. 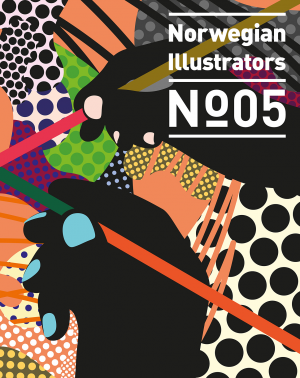 ILLUSTRATIVE showcases an international scene of artist-designers, whose works have been inspired by subculture movements like comic and graffiti as well as by applied arts like illustration and book art. The exhibition explores the merging of infinite materials and techniques in widely unprecedented combinations, which challenge learned ways of seeing – e.g. the latest development, where illustration and graphics are translated into the third dimension, or new narrative strategies in 3D-animation.